I found this on ”Sue’s News and Views” blog a few days ago. I believe she is from the UK. 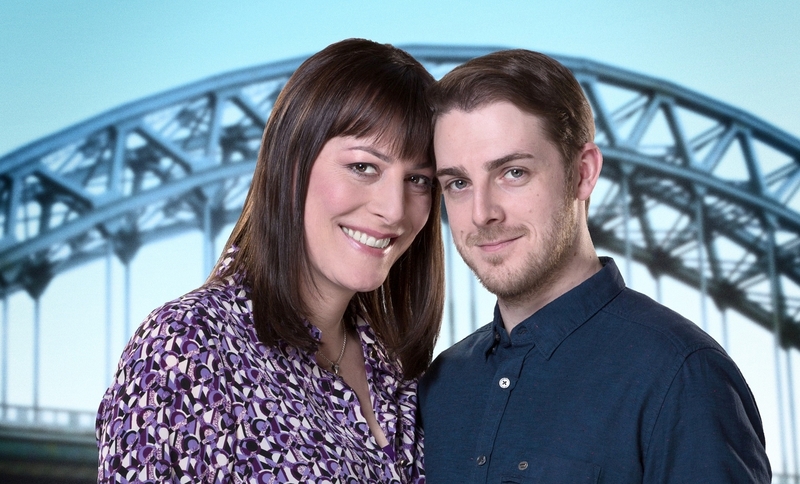 There is a new BBC comedy series called “Boy Meets Girl”. Sue discusses it in detail and I was able to watch several of the episodes on YouTube. Very nicely done with a true trans woman as an actor. The BBC viewer for all episodes does not work for IP addresses outside of UK. We will have to wait for more episodes to show up on YouTube or for it be available in the US on DVD/Blue Ray. Thanks Sue for letting us know about it. I’ve been watching this BBC comedy series, "Boy Meets Girl", initially from curiosity, then almost from a feeling of duty, but after episode 4 I really love it. A straightforward sitcom about a boy and a girl dating, and their weird families. Except she is transsexual, which creates a different tension. Not the most sophisticated comedy or insights, but very sweet, and informative for those who know little about trans life. The comedy characters are the grotesque parents and siblings, not the two lovers. There are some good laughs in each episode. Sitcom stalwarts like Janine Duvitsi and Denise Welch give it quality. But the dad’s relationship with his sons is beautifully and movingly portrayed and the last episode had me in tears. I don’t know if this show will have long-term mileage with the general viewing public but I think it should be seen for its humane and genuine look at the sort of things we face. It is one of the shows which has a genuine transgender actress (Rebecca Root) in a lead role. I often hear rants and whines in the trans community that transgender characters on screen are often played by non-transgender actors and that this is wrong. Without going into depth about the purposes, methods and history of dramatic representation, I think this demand is daft. An actor is judged on their performance as a character. Is Felicity Huffman (female) any good as a pre-op transsexual in Transamerica? Definitely. Is Jared Leto (male) any good as the same in Dallas Buyers Club? Not bad at all. What will Eddie Redmayne be like in The Danish Girl? Let’s wait and see. You don’t need an actor who’s old/young, white/black, big/small, tall/short, male/female to play a role that is supposed to be a specific thing. Judge them on how well they act the part. Is Rebecca Root any good acting the role of a post-op TS who’s dating? I’ll reserve judgment on her performance till the end of the series. Thank you for this info. From episode 1-1, it looks like a vey sweet relationship may develop.